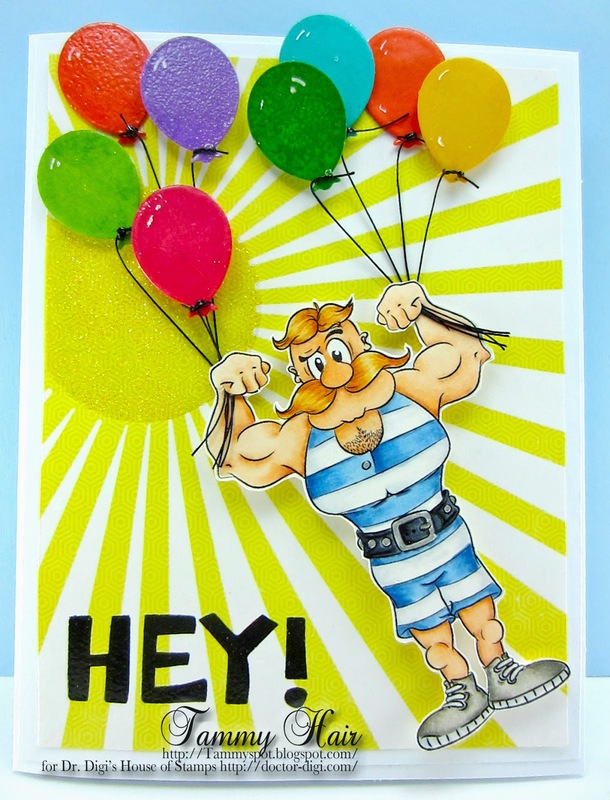 Looks who is having a birthday, its none other than Oktoberfest Otto from the amazing pen of Dr. Digi's House of Stamps! Otto is saying Cheers to you and thanks for the birthday wishes, it is going to be a grand day! 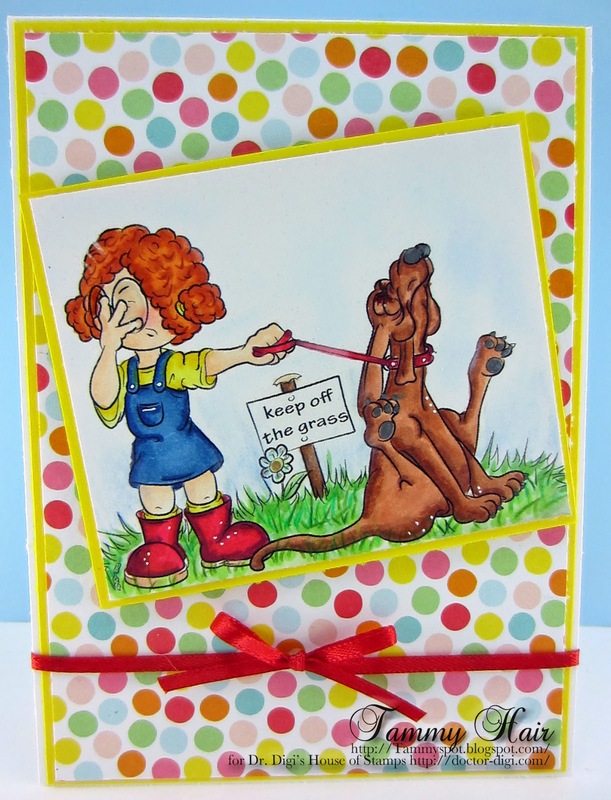 Sometimes we need a card...just because...to bring a little cheer. 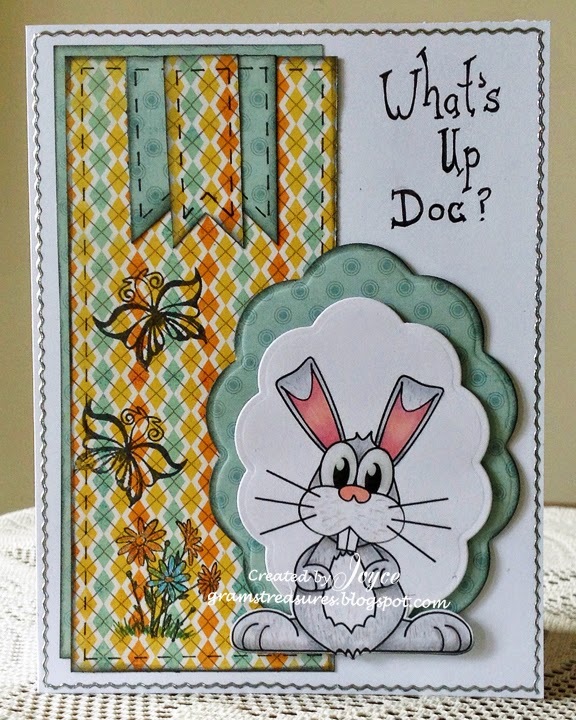 This sweet image from Dr Dig's House of Stamps, (Cuddly Critters Rabbit) is sure to fit the bill, and so nice and easy to colour. My DT post today is short and sweet, and also late. Family circumstances have totally taken my time. Take care everyone, and enjoy the long weekend. 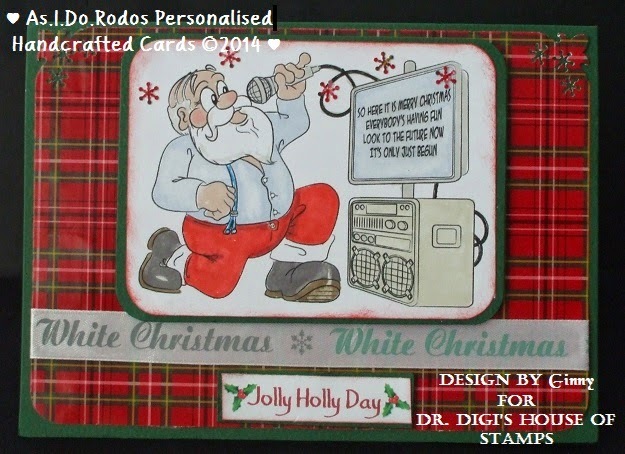 So today a card from me for Doctor Digi House of Stamps. 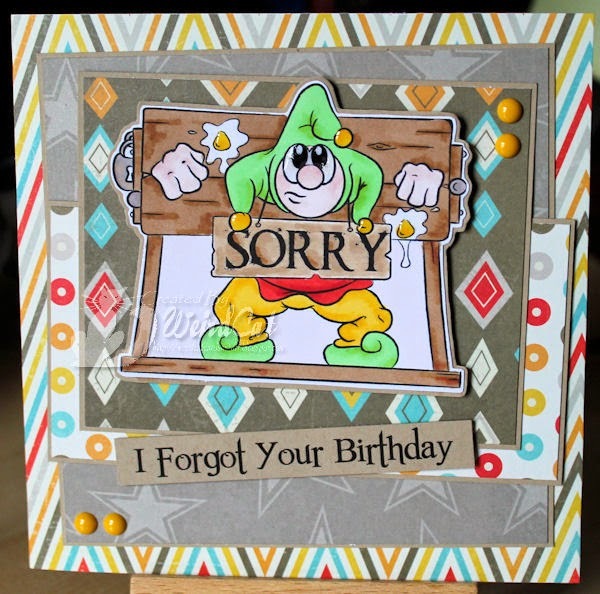 A birthday card for someone who don't like to celebrate his birthday. I used the image Grumpey Monkey. The sentiment is from the Birthday Sentiments Sheet 01. I thought it fits good together. 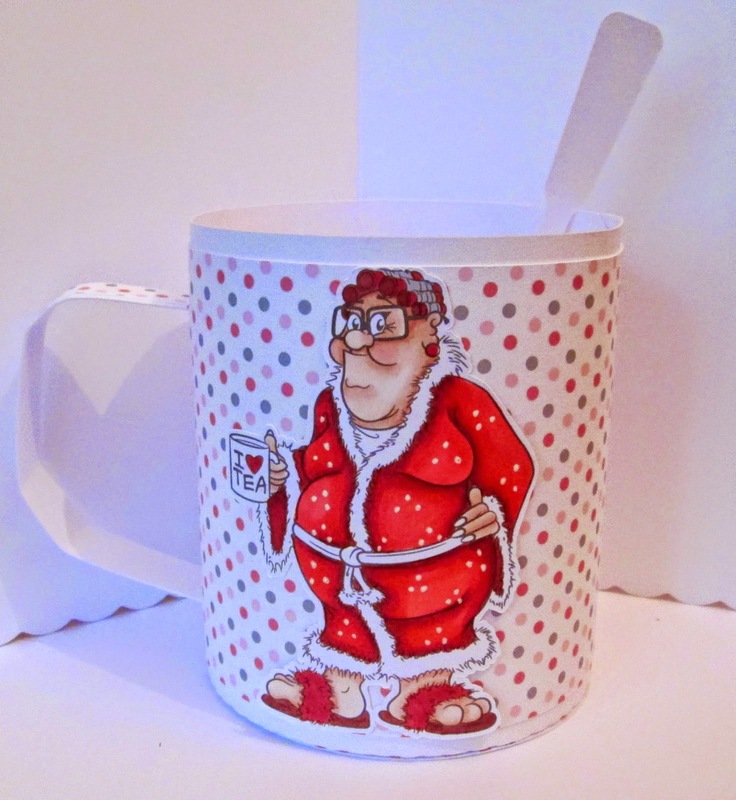 If you want to know how I made it please take a look at my blog. Stealing a bit of Al Murray's repertoire here with the sentiment, but meet Otto, a proud participant of Oktoberfest which is not, as many think, a festival of beer, but actually the world's largest funfair. 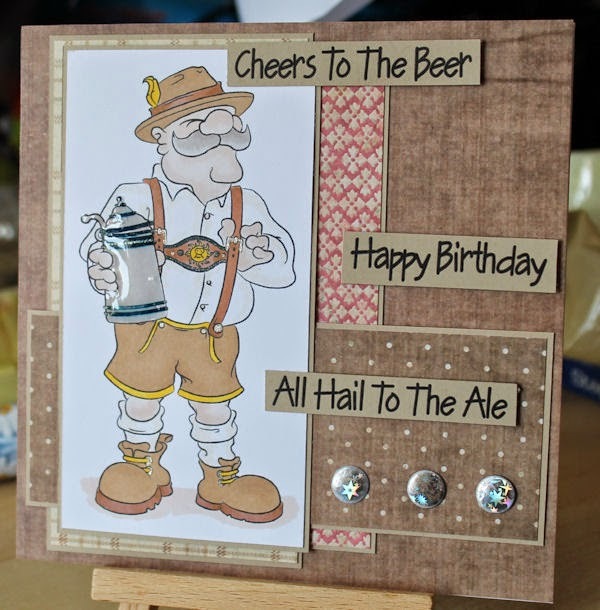 For those able to don their lederhosen then I am sure beer will play a part along with a bit of an oompah sound with maybe the odd whirl on the waltzers thrown in for good measure! 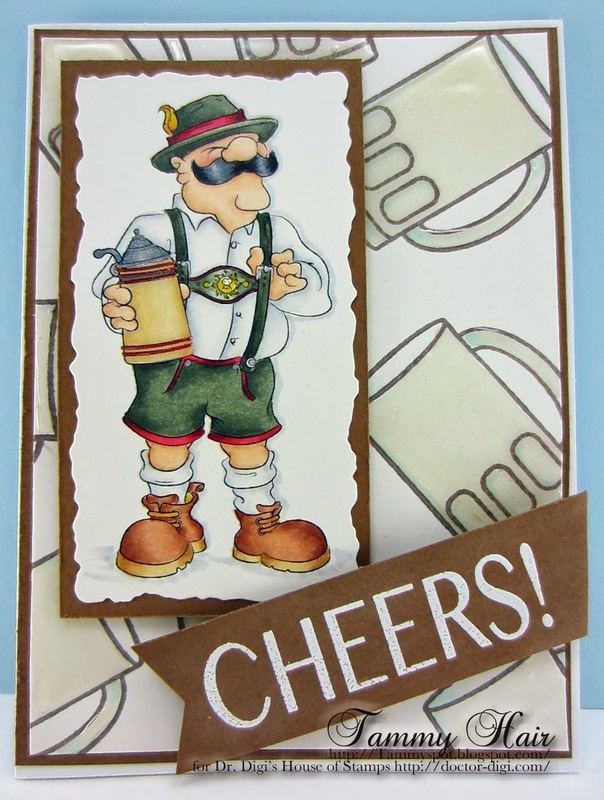 You can find Oktoberfest Otto HERE and his beautiful fräulein Lagerfest Lottie HERE. Here is the final part of the epic Retirement card! Parts 1, 2 and 3 have been shown on previous Tuesdays if you want a look back. This page features Bath Time Deirdery and some equally electrifying papers. And this is the front cover to the Retirement card - its also in our organisation colours! 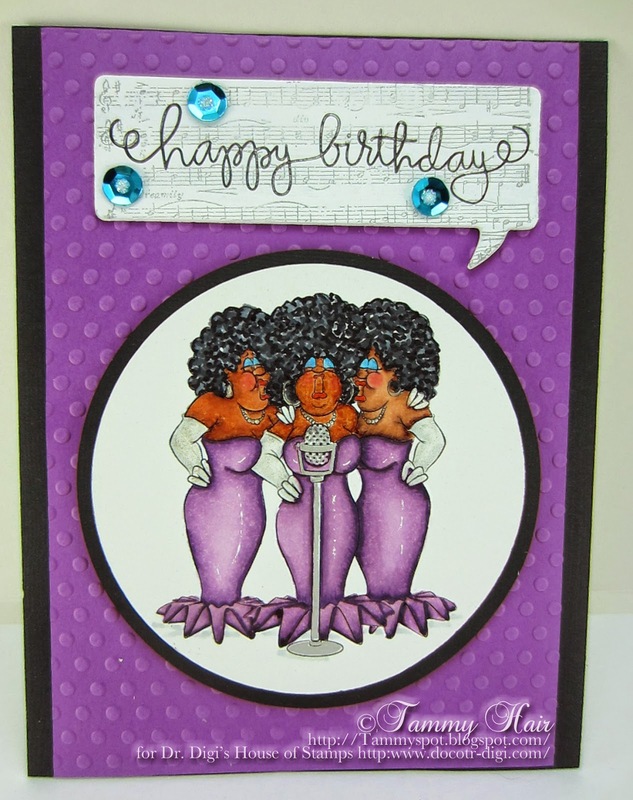 How about a sing-along with the divine Three Girls One Mic from Dr. Digi's House of Stamps! Everybody join in on the count of three, one, two . . . two and a half, two and three-quarters, four! Okay, who wasn't paying attention? Weekend Wanda is a regular here at Dr. D's blog, and with good reason, she's a hell of a gal. But Caz really worked some magic with this one. It's so obvious when you think about it, put Wanda on a Mug... 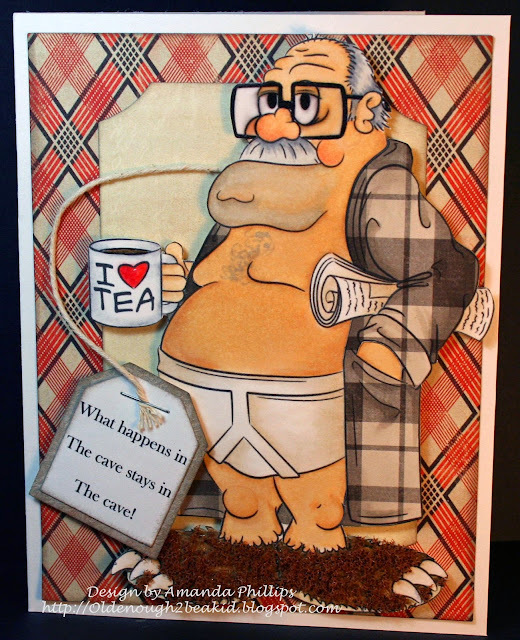 The teas are on Caz for this one, but she definately gets a cookie for such a fantastic creation. 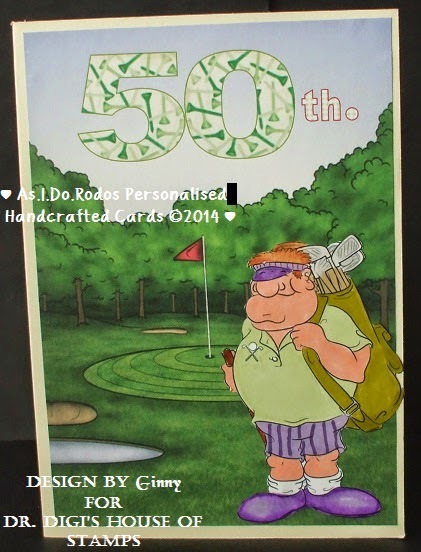 Another installment of the Retirement card! Here Green Fingers and Thumb Deirdrey catches up on the gardening. Looks like all the sun and rain of recent times has made the lawn sprout into an almost jungle - time for Derek to wheel out the mower....! Hole in one Hal is feeling on top of the world today! The sun is shining birds are singing and he doesn't have a care in the world. The fabulous Hole in One Hal background HERE if you buy Hal and the background together you will save a save a quid! Dr. Digi's House of Stamps super handsome Strongo the Magnificent, is out of sorts today since he is neither strong nor magnificent! In fact, he is quite weak, unable to keep his feet on the ground while holding balloons at a children's party. Hopefully, Strongo won't get too much closer to the sun before his balloons burst! Have a safe landing Strongo! The kids may be gearing up for the new school year, but I'm sure their minds are elsewhere....perhaps with the upcoming hockey season. 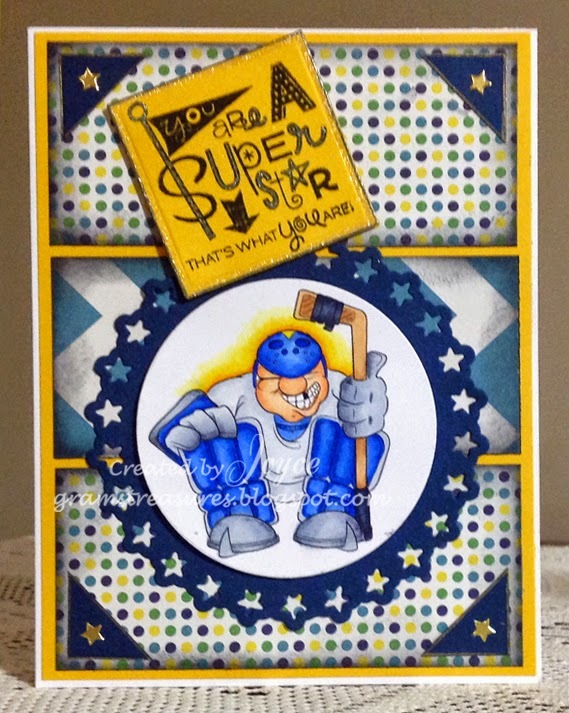 Today I'm using the Ice Hockey Hugh image from Dr Digi's House of Stamps, in this case another reason why the goalie wears a mask! Doesn't he look fierce? Have fun guys! Keep Off The Grass! This pooch is taking no notice of the sign much to the embarrasment of his owner! 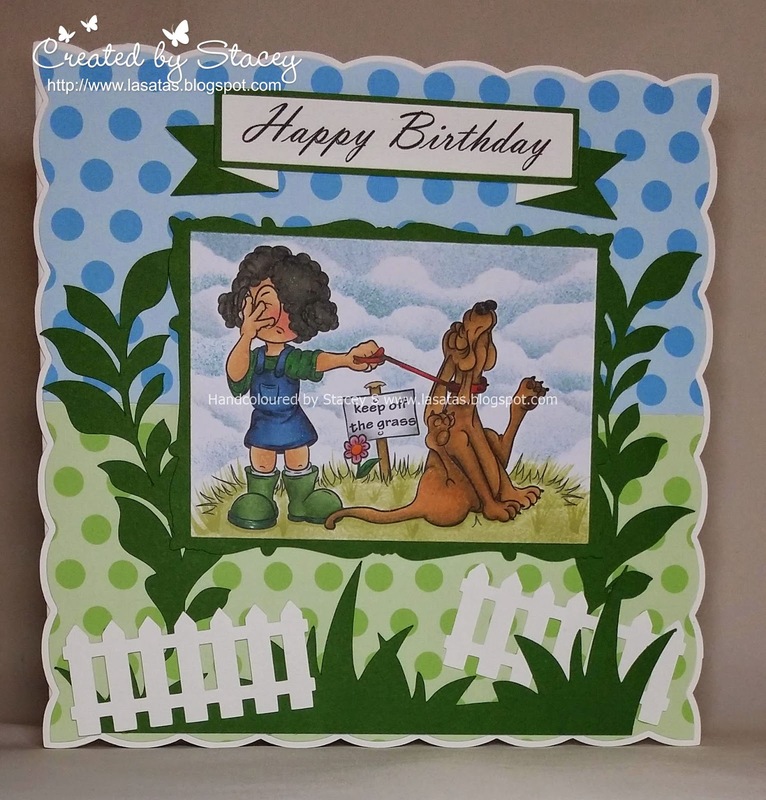 Keep off the Grass is available from the Dr Digi store and more details of this card can be found over on my blog. Now for some sad news. 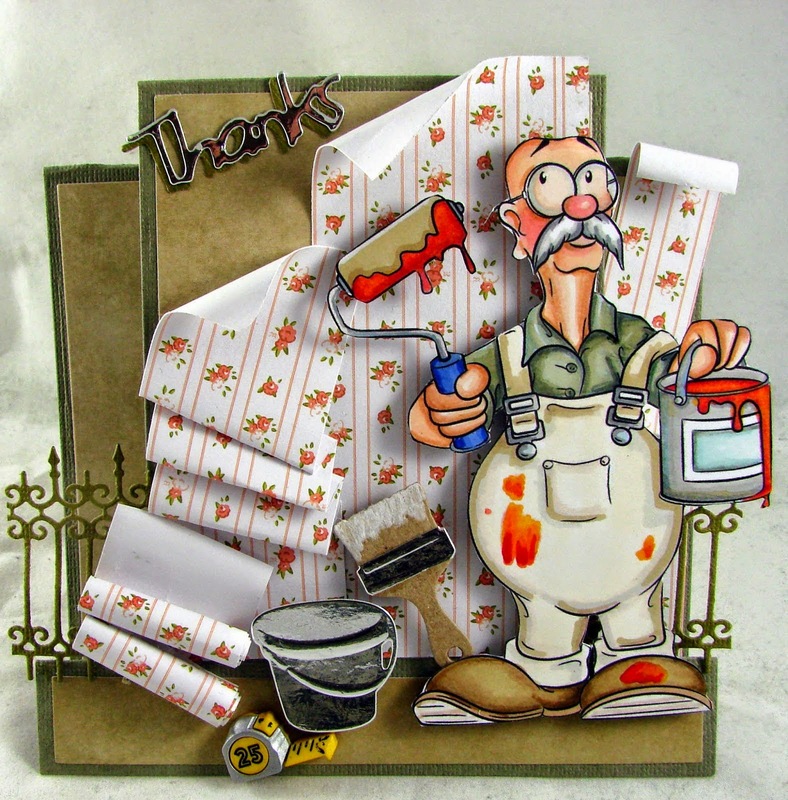 Due to new work commitments I am very sad to say that this is my last card as part of the Dr Digi DT. I have thoroughly enjoyed my time on the DT and will continue to be a huge fan of all the fantastic stamps available. So, you've gone for lots of long rambling walks and that has really invigorated you on your retirement, so what to do next? Take up a new hobby of course!! Here is Deirdery Wired For Sound in her retro 80's outfit, slowly getting to grips with the roller boots, elbow and knee pads essential. I used to have some rather similar roller boots. However they were butchered by my brother - his skateboards wheels were knackered, so next best thing were mine. And he tried to hide the evidence of his cunningness in the bottom of my wardrobe. Nearly 30 years on and the memory still smarts somewhat. At Christmas time Santa delivery so many Karaoke machines, He decide to get a bit of practice in himself. We all like a good sing-song at Christmas time. All singing at the top of our voices to the radio in the car. Did you know that there are two kinds of flying dragons? 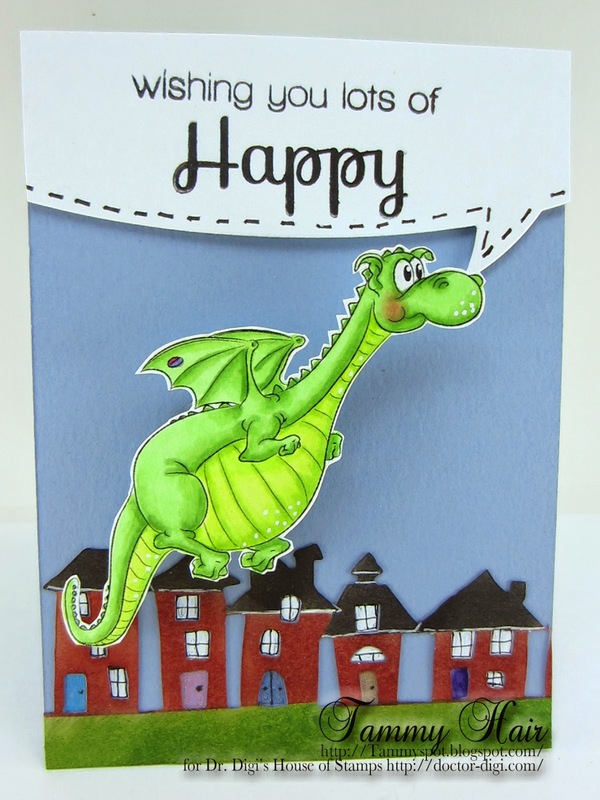 There is the mean dragon that belches flames and sets fires just for fun and then there is the In a Flap Dragon from Dr. Digi's House of Stamps that only spreads happiness and cheer wherever he goes! This time my card is one with a freebie. And because of less time a quick one. The sentiment is made with my pc. You can find some more freebies and lots of new digi's HERE. 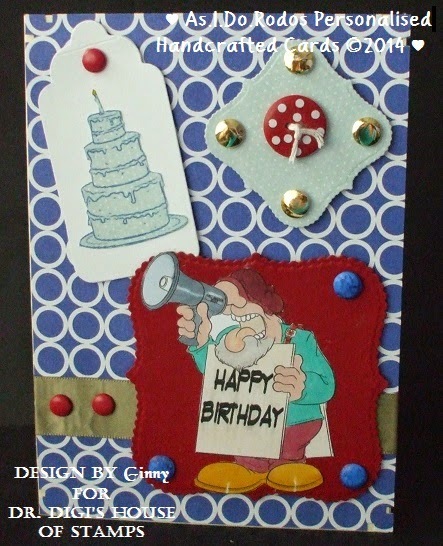 HERE can you find my blog to see how I made the card. 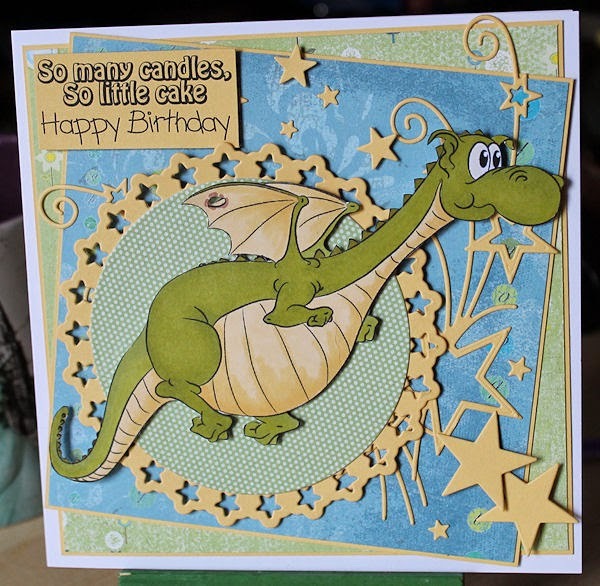 Dessie, the dragon, is in a flap as he needs to get to the party on time so he can light the candles, he's a little hampered aerodynamically since he accidentally singed a hole into his wing. Also he's not as svelte as he used to be owing to gobbling a few too many goblin sausages! I love Promarkers challenge always comes up with some fantastic cards. This time We're showing off Gudrun's amazing creation with Dunderton Decorators Ltd That's some spiffy wallpaper Derek's pasting up there. As I mentioned last week, I've been busy making cards for work colleagues who are leaving. 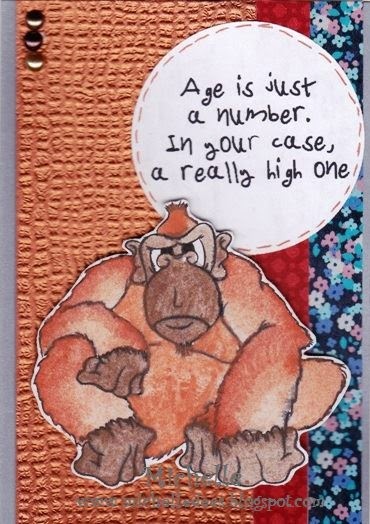 This particular card is one of a kind and is for someone I've worked with for quite a number of years and there is nothing that she doesn't know - she's the typical go-to person in Finance! Faldaree Deirdery from Dr Digi sets the tone perfectly! Come back next week, same time, same place for the second installment! Another fantastic image from Dr. Digi's House of Stamps. Poor old Sorry stocks and he does look remorseful. 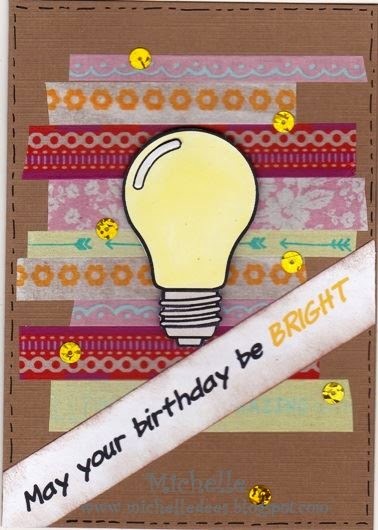 This is a great card for those forgotten birthday’s or as I have used it a get well and many more subject. About the only good reason not to walk the dog aside from freezing rain, snow, or a thunderstorm, is that dogs, as much as we love them, cannot read unless it says f-o-o-d! Keep Off the Grass by Dr. Digi's House of Stamps proves my point! Never leave home with your pup unless you have a bag in case of an emergency! 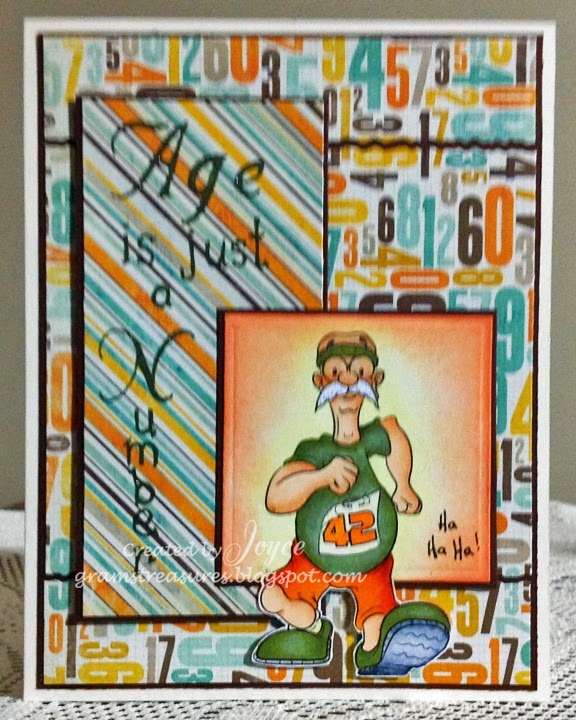 Here's a CAS card, perfect for one of those people that think they can outrun the aging process! Of course it might also be good for a belated birthday card, as in 'running late again'. 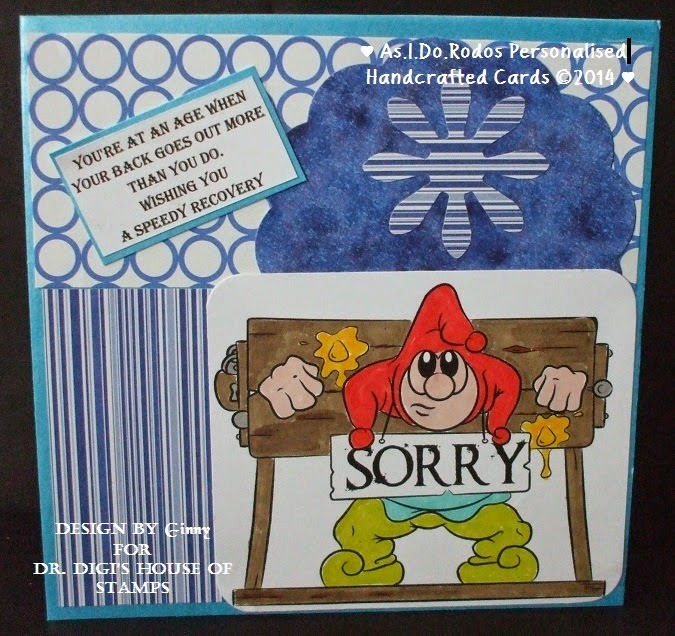 This is another fun image from Dr Digi's House of Stamps, titled Run Derek Run. Lots more to choose from in the shop, too. Sorry Stocks now in Stock!! Oh dearie me, what's to do! This image will come in very handy as I am a bit rubbish at remembering people's birthdays! He does look very sorry with those big pleading eyes and that quivering lip, those hands clenched in supplication, begging for your forgiveness and I'm saying nothing about it being a man dressed up as the court jester!!! Nothing whatsoever!